Get ready for the biggest indie DANCE party of your life. 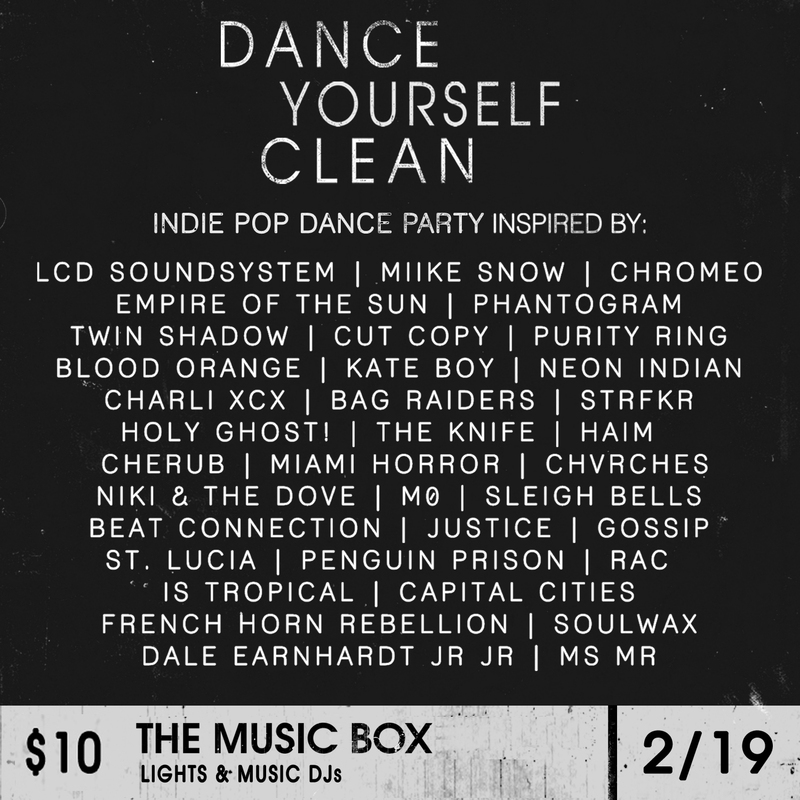 This is a killer week for concerts and why not end the week right this FRIDAY with DANCE YOURSELF CLEAN at Music Box. Playing all our favorite hits: LCD Soundsystem, Empire of the Sun, Blood Orange, Bag Raiders and more, this is one dance party you do NOT want to miss. Grab tix here.